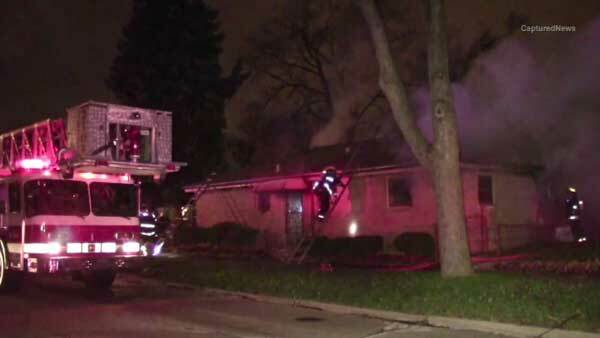 A firefighter is hurt and a family's pet was killed in a large house fire in south suburban Calumet Park. CALUMET PARK, Ill. (WLS) -- A firefighter was hurt and a family's pet was killed in a large house fire in south suburban Calumet Park. A woman and her grandson left their house in the 12500-block of South Elizabeth Street Monday night to go to a gas station. When they came back home around 11:45 p.m., they saw flames shooting out of their windows. The family's dog was inside when the fire started and did not survive. A firefighter was treated at the scene for minor injuries.